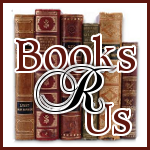 I want to welcome Mayra Calvani to Books R Us. Mayra is the author Dark Lullaby and numerous other books. She is touring the blogosphere with Bewitching Book Tours. Thanks for stopping by. Genre: Fantasy, suspense and horror. Mayra Calvani writes fiction and nonfiction for children and adults and has authored over a dozen books, some of which have won awards. Her stories, reviews, interviews and articles have appeared on numerous publications such as The Writer, Writer’s Journal, Multicultural Review, and Bloomsbury Review, among many others. A reviewer for over a decade, she now offers online reviewing workshops. When she’s not writing, reading, editing or reviewing, she enjoys walking her dog, traveling, and spending time with her family. She is also the author of a compilation of bizarre and unusual stories from exotic places called The Cat Cellar and Other Stories. Just leave a comment with your name and email and you will be entered to win. Contest ends on Jan 21 @ 11:59pm EST and is open internationally. Winner will receive an Ecopy of the book and the prize will be fulfilled by the author. Great story and cover! Thank you for the giveaway! I searched for the book The Cat Cellar and Other Stories on Smashwords, and it only has a brief description, but the cover is eye-catching. I'd love to read it. sounds intriguing. would love to be entered to win. thanks for the opportunity. I would like to enter to win the e-copy of the book The Cat Cellar and Other Stories.